A feature that Nikon calls Picture Controls offers one more way to tweak image sharpening, color, and contrast when you shoot in the P, S, A, and M exposure modes with your Nikon D3100, D5100, or D7000 and choose one of the JPEG options for the Image Quality setting. 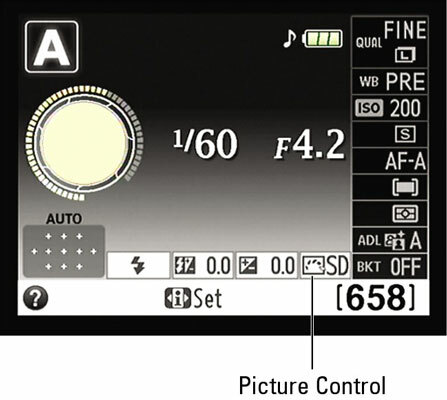 When you shoot in the advanced exposure modes you can choose from the following Picture Controls. In the other exposure modes, your Nikon DSLR selects the Picture Control setting for you. Standard (SD): The default setting, this option captures the image normally. Neutral (NL): At this setting, the camera doesn’t enhance color, contrast, and sharpening as much as in the other modes. The setting is designed for people who want to precisely manipulate these picture characteristics in a photo editor. Vivid (VI): In this mode, the camera amps up color saturation, contrast, and sharpening. Monochrome (MC): This setting produces black-and-white photos. Only in the digital world, they’re called grayscale images because a true black-and-white image contains only black and white, with no shades of gray. Landscape (LS): This mode emphasizes blues and greens. As you might expect, it’s the mode used by the Landscape Scene mode. 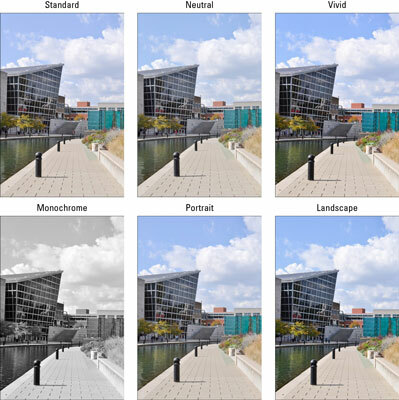 The extent to which Picture Controls affect your image depends on the subject as well as the exposure settings you choose and the lighting conditions. Set the Mode dial to P, S, A, or M.
These are the only modes that let you select or modify a Picture Control. Display the Shooting menu, choose Set Picture Control, and press OK. Highlight the Picture Control you want to modify. Press the Multi Selector right. Which options you can adjust depend on your selected Picture Control. Highlight a picture characteristic and then press the Multi Selector right or left to adjust the setting. Press OK to save your changes and exit the adjustment screen. 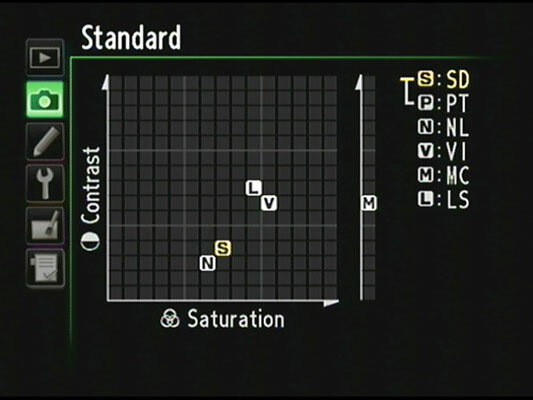 As when you fine-tune a White Balance setting, an asterisk appears next to the edited Picture Style in the menu and Shooting Information screen to remind you that you have adjusted it. Complete details on each of the Picture Control adjustment options for the D3100, D5100, and D7000 are found in the electronic version of the camera manual, stored on one of the two CDs that shipped with your camera. (The other CD contains the Nikon software.) You can read the manual in Adobe Acrobat or any other program that can open PDF files. The paper manual contains only basic operating instructions, and the Picture Control editing functions didn’t make the cut.